Global Wellness Day at Zoëtry Paraiso de la Bonita Riviera Maya! Happy #WellnessWednesday! On June 11th, Zoëtry Paraiso de la Bonita Riviera Maya celebrated Global Wellness Day! Global Wellness Day is an international day dedicated to living well! Every year, on the second Saturday of June, people all over the world participate to be healthier and to live well both physically and spiritually. Zoëtry Paraiso was excited to be a part of a day that encourages all to say “yes” to a day that can change your whole outlook on life. Staff at Zoëtry Paraiso de la Bonita Riviera Maya said “yes” and was excited to participate in Global Wellness Day! Explore Our VISIA Skin and Complexion Analysis at Zoëtry Paraiso! Happy Wellness Wednesday! Want to try something different while on vacation at Zoëtry Paraiso de la Bonita Riviera Maya? Maybe a treatment that contributes to your overall wellness? At Zoëtry Paraiso’s Thalasso Center and Spa, we offer a unique treatment that allows one to get more information about their skin. 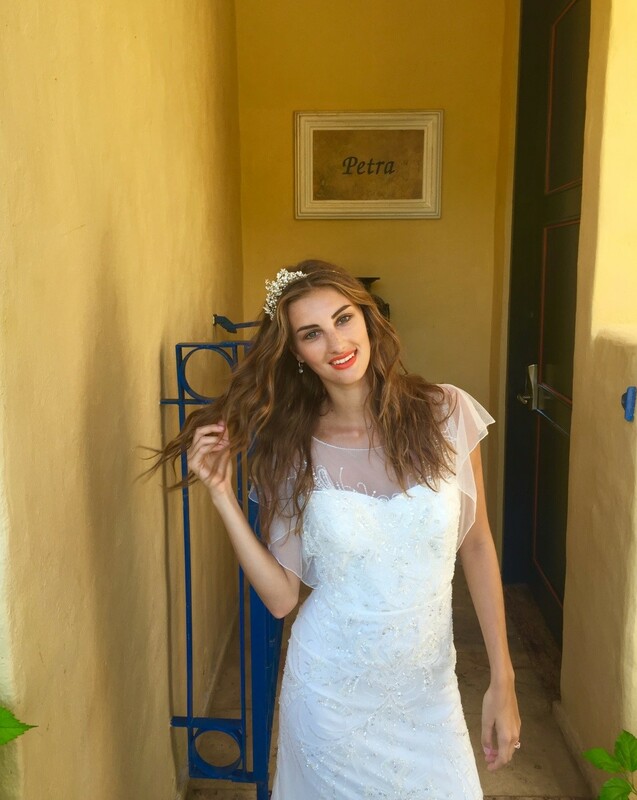 At Zoëtry Paraiso de la Bonita, we perform VISIA Skin and Complexion Analysis that allows guests to learn more about their skin and how they can better take care of it! The Thalasso Center and Spa at Zoëtry Paraiso de la Bonita Riviera Maya performs VISIA Skin and Complexion Analysis that allows guests to understand their skin better. Take Indulgence to the Next Level with Complimentary Room Upgrades at Zoetry! Take indulgence to the next level during your stay at Zoetry Agua Punta Cana or Zoetry Paraiso de la Bonita Riviera Maya! Now through December 22, 2015 you can bask in the level of luxury you deserve with a complimentary room upgrade when you reserve your stay by October 15, 2015. Zoëtry Wellness & Spa Resorts are boutique havens representing the highest level of luxury and providing the Endless Privileges® experience to each of its guests. 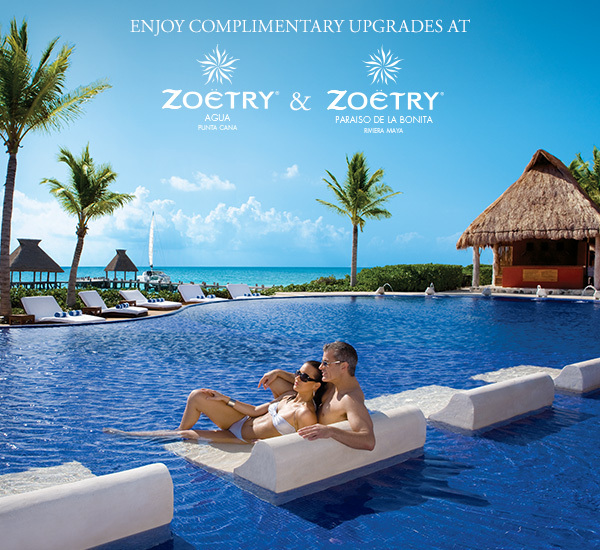 Enjoy a complimentary room upgrade during your stay at Zoetry Agua Punta Cana or Zoetry Paraiso de la Bonita Riviera Maya. Zoetry Paraiso de La Bonita Riviera Maya is nestled in the heart of the Riviera Maya, Mexico. It offers guests a resort experience centered around health, wellness, relaxation, and Endless Privileges®. On top of this ultimate luxury experience, Zoetry Paraiso has another unique element that sets it apart from any other resort. The owner took time and attention to design the décor himself and each room is a reflection of the locations he and his wife have visited! Take a look below at the Petra and Bermuda rooms! While enjoying the gorgeous Mexican Caribbean, enjoy a glimpse of Petra. This ancient city, located in Jordan, was unknown to most of the world for hundreds of years!